October 30, 2017 by Léon L.
This is a series on the history of English Football’s Anxieties. Here’s part 1 – Masturbation and muscular Christianity2, part 2 – It’s Bad Manners Being Clever!, part 3 – Magician, Stakhanovite, Stanley Matthews. The BS-372 was a pre-war socket. It was made in England by General Electrical Company from the 1930s to 1950s, a proud British standard for 2-pin non-earthed plugs and sockets. 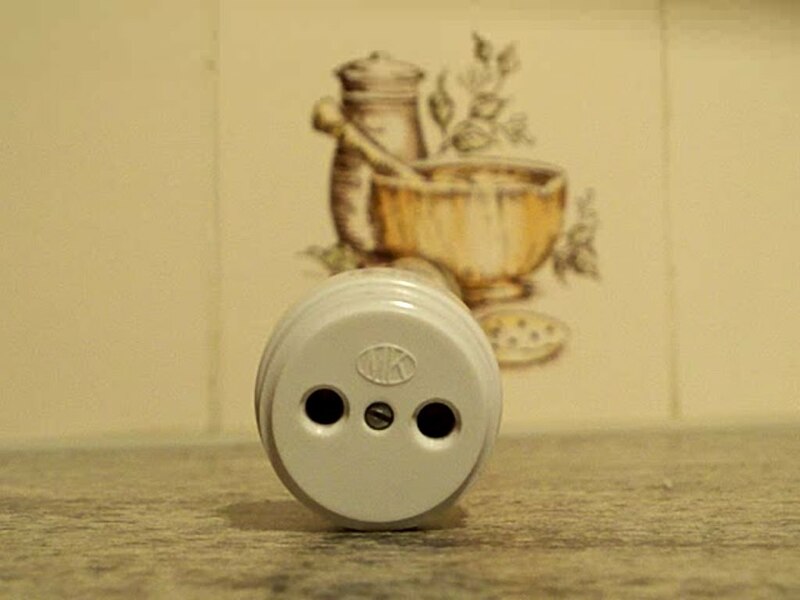 When you look at an old BS-372 power socket, it looks back at you. This particular one has a look of unmistakable dejection, as it hangs sideways, wires sticking out its back as it tries its best to avert your gaze. The screws came off somewhere between the time Vinnie learnt how to walk in the old Watford home and the time he didn’t get to learn about electrical conduction at Dollis Junior School (on account of him being pulled out to concentrate on his game). It was from Sir Derek Heasman OBE, his headmaster, that he learned the importance of being grounded. You are sharing that sidelong gaze with young Vinnie Jones. Not infrequently, Vinnie was tempted to stick a fork in it, flip the switch on and not let go, just to see what happens. A functional family is an oxymoron, especially in Thatcherite England. The people of Britain – especially the grown-ups – were in an exceptionally rude mood, and they, as they always have and will, took it out on their young. In recession, with unemployment passing the 3 million mark and ticker tapes rolling with reports of outbreak of riots, Prime Minister Margaret Thatcher, the Machiavellian politician that she was, used the Falklands invasion as a misdirection, as a cause for a united front, and, ultimately, as a propaganda tool for re-election and xenophobia to further the cause of the Conservative Party. Impressionable, resentful teens needed something to blame stuff on. They lapped the nationalistic rhetoric up like discontinued 1980’s orange-flavoured soft drinks. All that added sugar, preservative and misplaced pride went to their skinny heads. Recession in middle-class Britain supplied a bubbling spring of self-hate and made football a perfect sanctuary for juvenile delinquents. It was fitting, then, that stony-faced 18-year-old, Vinnie, already a monarchist and nationalist, was making his debut for a club nicknamed The Stones/Royals around that time. He, like many others, made it his personal crusade to rid the game of its European-ness, one tackle at a time. Being the archetypal English defender required your senses to be flogged by domestic disillusionment in the formative years. Each violent tackle carried a subtext. It had an aspect of truth over beauty, reality over fantasy, the perishable nature of hope. A worldview with a scarcity of miracles, and an abundance of war, strife and makeshift football pitches. Gangs were as much a part of school curriculum as corporal punishment. Every reducer on the pitch was a way of settling the score of every back-alley punch-up: a blur of hyper-extended limbs, faded denim, knees kneading kidneys, crooked noses straightened up, bloodshot eyes blackened, and lips poppin’ like orange pulp. A rabona wasn’t going to get you out, but shearing the skin on your knuckles did. Being the hacksaw English defender required a special kind of cynicism, to not just watch beautiful things wilt under your boots, but to also be a catalyst in the process of entropy. The defenders were self-appointed protagonists in their morality play, and made no apologies for cutting down their fellow professionals almost in half. Infamy wasn’t as good as fame, but it was a lot better than obscurity. Not all men are created equal; some kick a ball into row z better than others. The English defender’s creativity was systematically stunted. While dribblers suffered for their philosophies, the English defender suffered from the lack of it. The English defender’s idea of an uplifting artistic experience would be a musical elevator, or the voice of Sir David Attenborough elucidating how the fleet-footed gazelle failed to outmanoeuvre the cunning cheetah of the Serengeti. He is solid, heavy, and resistant to last-minute heroics. His physique is his calling card – facing outwards, jutting with sharp, rugged edges, all elbows, knees and chin – a rockface that even Gutsy Smurf (the bravest of all Smurfs) wouldn’t dare climb. He smiles like a switchblade knife with the knowledge of a bad job done well. He has a mouth as foul as a blacksmith’s armpit, jawline like the anvils Wile E. Coyote gleefully drops; his forehead as impending as a concrete slab balanced perilously on fork-lift reversing on a slanted street. His top lip is curled timelessly – an expression resulting from long exposures to the stench of brimstone from his soul, or maybe an indigestion no antacid could cure under 30 seconds. His shoulders are the size of outhouses with legroom; his chest, a grave where cuddles come to die. His shorts filled with an ample bottom, and farts as mighty as Thor’s summoned thunderclaps. His thighs command the psi (pounds per square inch) of jackhammers; and his studs, of a crocodile’s jaw snapping shut on a stork’s neck. All that separated his voice from an executioner’s was a matter of time. The expert executioner brings the axe down hard and fast. When he’s on the football pitch, dribblers would fall over each other in their eagerness to be last.